Hangout runs a shuttle service using luxury coach buses. The shuttles stop near most of the condo and hotel options in the area (check the map for more details). Use this guide to help you pick the shuttle stop closest to where you are staying. 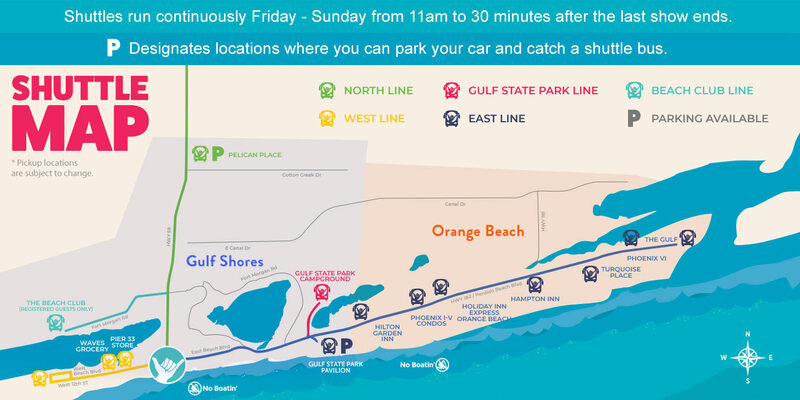 *Please note: Parking at The Beach Club is for registered guests only.